Legit Reviews reports a trailer for upcoming robot boxing movie Real Steel contains an Xbox 720 logo at the 0:23 mark. Did Microsoft hint at a new console in the upcoming Real Steel or are the folks behind the movie trying to make some buzz? 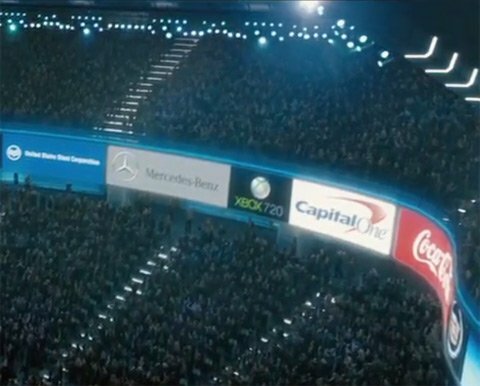 If you look closely at the latest trailer for Hugh Jackman's robot boxing movie or the featurette from way back in August, you will be able to spot an Xbox 720 logo in a wide shot of the arena.